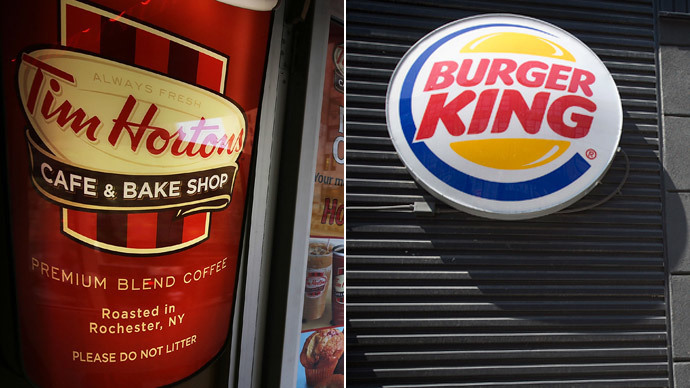 A Democratic Senator is calling for Americans to boycott Burger King after the fast food giant agreed to purchase Tim Hortons for $11 billion, consequently avoiding US taxes. 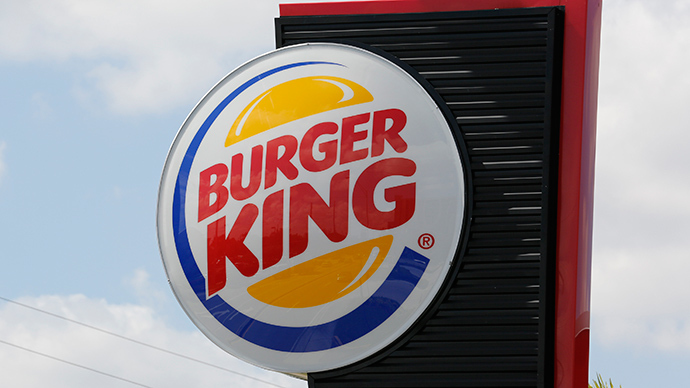 The push for a boycott comes as Burger King plans to renounce its corporate citizenship in the United States and reincorporate in Canada. Although Burger King itself will continue to be run out of Miami, the company’s new headquarters will officially be located in Toronto. Known as a “tax inversion,” the move will allow Burger King to evade the 35 percent corporate tax rate in the US – the highest in the world, though most large corporations end up paying a significantly lower rate. In Canada, the corporate tax rate is 15 percent. Already, reaction to the development has been angry, with many Americans urging their fellow citizens to stop spending their dollars at the restaurant. Soon after the news broke on Tuesday, Sen. Sherrod Brown (D-Ohio) joined the chorus. “Burger King’s decision to abandon the United States means consumers should turn to Wendy’s Old Fashioned Hamburgers or White Castle sliders. Burger King has always said ‘Have it Your Way’; well my way is to support two Ohio companies that haven’t abandoned their country or customers,” he said in a statement to CBS Cleveland. On Facebook, people have flooded the company’s page, denouncing its decision and promising to take their business elsewhere. “I think it's despicable you demand taking our tax dollars by paying your employees below the poverty line, yet you look for a way to lessen your tax bill by buying a company based in another country,” James Reed wrote in a comment. Once the deal is finalized, Burger King is expected to reach roughly $23 billion in sales worldwide, making it the third largest fast-food company, behind McDonald and Yum Foods (KFC, Taco Bell). Concerned over the possibility that other corporations may decide to flee the US (Walgreens decided not to after facing backlash from Americans and politicians), Brown said a global minimum tax needs to be implemented to prevent companies from avoiding taxes. “We need an immediate fix to forestall a flood of these dangerous inversions and a long term solution that lowers corporate tax rates while instituting a country-by-country global minimum tax,” he said. “This kind of common sense reform will close down tax havens that cost our country revenue and cost American jobs." 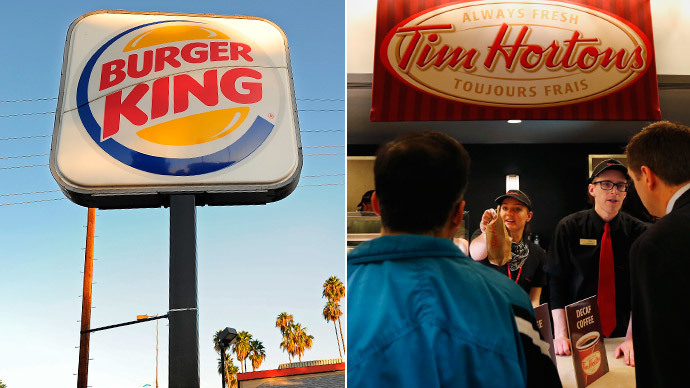 Burger King’s decision has also rankled those on the left because of the involvement of billionaire Warren Buffet, who is putting up some of the $11 billion needed for the company to buy Tim Hortons. In the past, Warren Buffett has advocated for a minimum tax on millionaires, causing friction with those on the right side of the political spectrum. Now, however, some on the left are criticizing him for holding a double standard. As noted by the Huffington Post, though, Burger King is not currently being run by an American firm, meaning it likely doesn’t care – yet, anyway – about the uproar the purchase is causing.